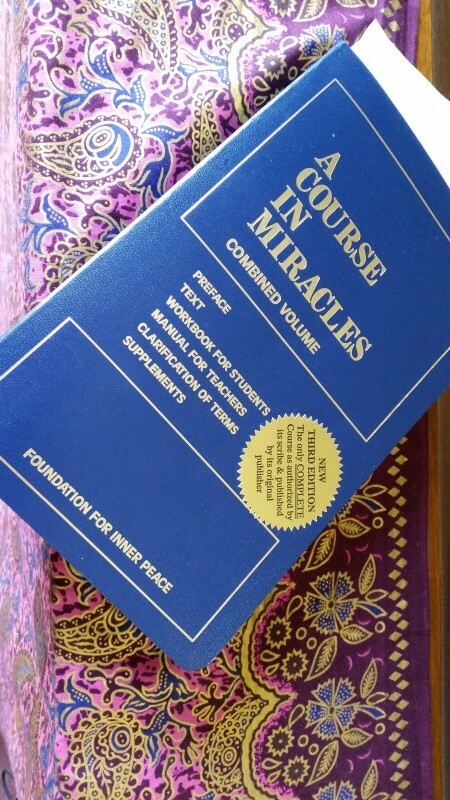 A Course In Miracles is a spiritual textbook, so to speak, that serves to shift how we view ourselves and the world and enhance our connection to the Divine Love inherent within each of us. For the past 6 months or so, I have (very slowly!) been working through the lessons and chronicling my thoughts on each one on a separate blog I started. As spring and its holidays are about renewal and redemption, I thought I would share with you one of my posts, this one on Lesson 7, which speaks to the biases our past creates. By recognizing and detaching from what the logical mind believes is reality, including the past, we can find our own redemption and move more easily into the life and love we crave. I see only the past in this keyboard. I see only the past in this chair. I see only the past in my daughter's face. I see only the past in my sheet music. Perhaps I also hear only the past. Taste only the past. Touch only the past. Tweet: Everything we encounter is filtered through the lens of our life. How do I know what to do with this keyboard except for learning when I was 7? How do I know that this chair is meant for sitting except for watching my parents do it from birth. How do I know that this is music, or how to read it, or whether it suits my voice but for learning and interacting with music for a lifetime. If I hear only the past, then when I sing, I am never truly hearing myself, in this moment. I am hearing how I sound compared to how I used to sound, or how I have been taught I should sound. I am never with only my own voice, as it is, right. now. To know that our experience is completely biased and unique is something akin to freedom and to begin to detach from that individual coloring is like seeing the world anew, with fresh curiosity, like a young child. What can we see with present eyes today?